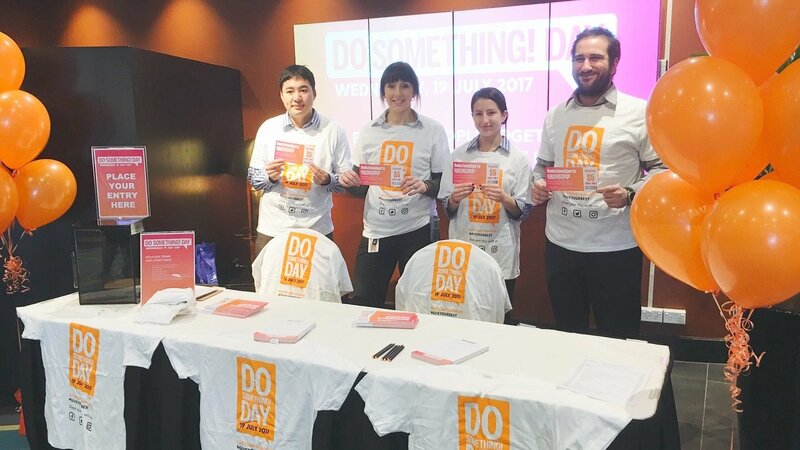 Thousands of people have taken advantage of ClubsNSW Do Something Day, with venues around the state carrying out random acts of kindness for their members, guests and the local community. At Bankstown Sports, we wanted to encourage conversation and connection within the local community, so we encouraged people to bring a loved one, friend or neighbour into the club for a coffee or a treat on us. We offered all participants a $5 voucher to use at any of our restaurants and bars, and Monkey Mania play centre, so they could spend a few hours with someone special. Robyn grew up in the Bankstown area but she now lives on the Central Coast. Every week, she and her husband bring her elderly mother to the club for lunch in Greenfield Station Bistro. “Mum volunteers at Bankstown Hospital every Monday and they love her there. I like to take her out each week to show her that we still appreciate her and everything she does”. She thinks the Do Something Day concept is a great idea, and were very appreciative of their vouchers. We also had members like Louisa visit today. She has been a member of our club for over 20 years and is a regular at our café. “I come to the club every Wednesday and Friday to have the soup. I’ve been doing that every week for the past two years and the ladies at the café know exactly what I want even before I order! This club is like my second home. I just love it here”. She came to meet some friends at the club today and took full advantage of our $5 vouchers. Other people we spoke to had brought their friends along for a quick catch up, while others had organised lunch meetings and family get togethers. Thank you to everyone who got involved in this great initiative.